So most people think of Conversion Rate Optimization as just being focused on conversions which was probably true but not so much these days. To truly understand where the industry is going we need to think back to where it first began. The earliest optimisation techniques and “best Practices” started in advertising/direct marketing. Hell the book on optimisation is arguably Claude C Hopkins Scientific Advertising and that was written in 1923. 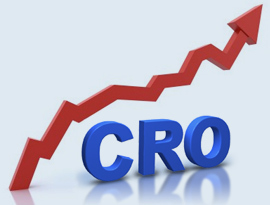 So a lot of what we do as Conversion Rate Optimization specialists such as customer acquisition, retention, brand building, customer service and revenue optimisation is just a a new take on a old principle that was advertising/marketing. All we are really doing is applying these time honoured principles to the digital sphere. This is why I think we should stop being obsessed with conversion and look at the whole business process. There is no point in optimising the sales funnel if all the items sold/leads generated are returned/rejected. Likewise improving the conversion rates online will not make a business work if your offline service is so terrible that no one ever uses your services again. It is by marrying this strategic thinking along side the tactical day to day running of tests and campaigns that will deliver the big uplifts in performance that so many organisations think they can achieve by changing the colour of a button.